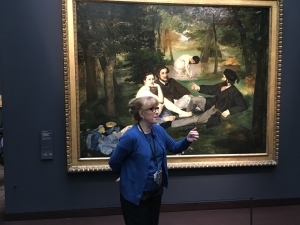 Learn about the world of impressionism and discover one of the world ‘s most famous museum, Orsay. Your guide will share with you his knowledge and experience, and lead you to the best places in the museum all in a friendly atmosphere. Thanks to your guide, you will skip the long lines at the museum’s entrance and you will learn about the interesting history of the building which was an old train station built in 1900 for the World Fair. 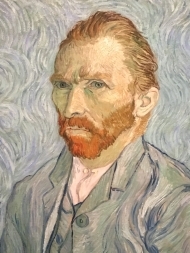 Today, the museum’s collection spans the artistically revolutionary era between 1848 and 1914. 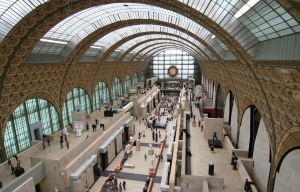 Victor Laloux was the young architect who won the competition to design the Gare d’Orsay. The building itself was inaugurated as a railway station for the 1900 World Fair. It continued to serve the stations of southeast France until 1939, but its platforms became too short for postwar trains and it fell into disuse. The gare d’Orsay was scheduled to be torn down in 1970 but survived and became a landmarked building in 1978. The vast dimensions of this early 20th century building have helped the new project and are ideally suited for a museum. You will be amazed by the abundance of natural light in the whole building. The job of redesigning the interior as a museum was given, in 1986, to the fashionable Milanese architect Gae Aulenty. You will start the visit with the discovery of the main hall bordered by a series of terraces and stepped landings. To continue chronologically, your guide will lead you to the upper level, whose rooms have a more intimate feel and dedicated to the impressionists. You will enjoy an amazing view of the city before marveling at some of the most beautiful works of Monet (Femme à l’ombrelle, Rouen cathedral series…) , Renoir (Bal du Moulin de la Galette) or Caillebotte (Raboteurs de parquet). Less typical works include Degas‘ ballet dancers, which demonstrate his principal interesting movement and line as opposed to the more common Impressionist concern with light. Lastly, discover the middle level with the post-impressionists like Gauguin, Toulouse Lautrec, Seurat, Signac and Van Gogh. Between 1886 and 1900 a more profound and radical modernity was able to develop. Impressionism evolved towards different pictorial approaches. You will finish your tour at the former hotel ballroom where you will be delighted by the sumptuous decor. It was in the ballroom of the station’s hotel that General Charles de Gaulle held the press conference at which he announced his « availability to serve his country » on 19 May 1958, ushering in the end of the French Fourth Republic.